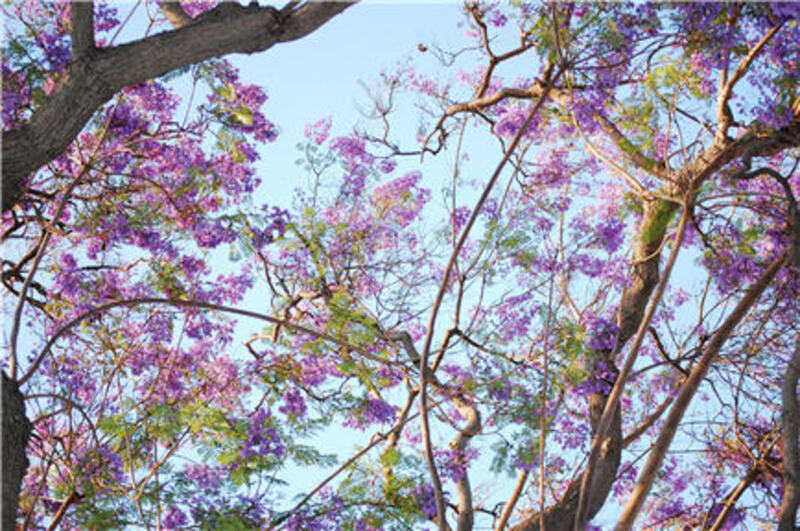 L.A. is pretty devoid of cherry blossoms in the spring, but what we lack in pretty pink flowers, we make up for with purple. Since the trees only bloom for a short amount of time, my boyfriend and I took several walks this week along the petal-covered sidewalks. The suddenly chilly onset of weather has been perfect since I just bought this blazer-turned-capelet and was doubting my ability to wait until fall to pull it out of my closet. Also, thank you to Lisa who sent over this beautiful headband from her shop that&apos;s stocked full of "Blair Waldorf-esque" pieces.